In 1099 a Count Giso, son of Countess Matilda, is listed a as vogt (bailiff) of the Abbey of Hersfeld, which came in to his possession through his marriage to Kunigunde von Bilsteina, daughter of Counter Ruckers II. The same applies to the vogtei (bailiwick) of the monastery (foundation) of St Florian in Koblenz, which was also a Bilstein inheritance (1110). 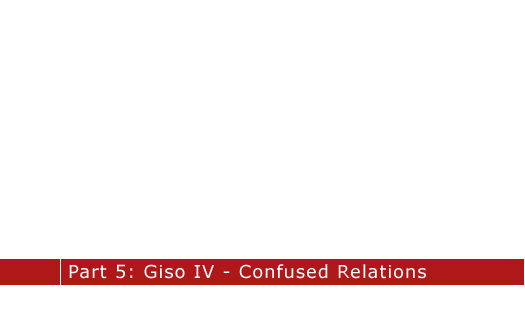 Giso IV belonged to the circle of fürsten (princes) surrounding Heinrich IV who acted as advisers (counsellors) in 1108. His name often appears with that of Werner IV of Grüningen in documents. Count Werner was also a well-known loyal figure to the emperor. There is always an attempted explanation for the striking close relationship of the Werners and the Gisonen. Were both families descended from one of the Salische houses or were they related in other ways? It has been assumed that a daughter of Werner IV married Giso IV, but the only known daughter of Werner IV married Adalbert of Kisslau in 1116 and died in 1121 without issue. Another unproven yet possible allegation is that a daughter of Werner III married Count Ruckers II, father of Kunigunde von Bilstein. 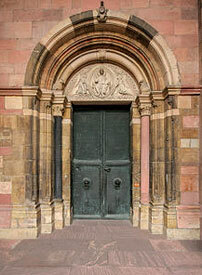 In the dispute between Archbishop Adalbert of Mainz (1111-1127) and Emperor Heinrich IV (1106-1127) may lie the key to explaining the later devolution of the House of Thüringen (Thuringia). 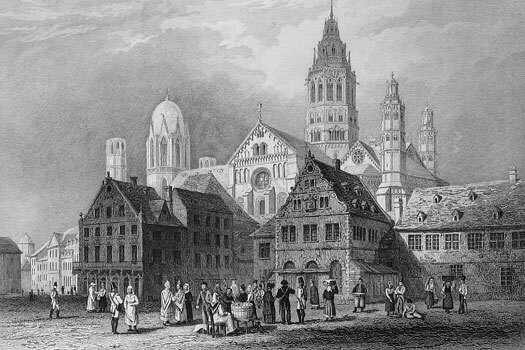 In the year 1114, Giso IV, as a follower of Emperor Heinrich IV, struck against Archbishop Friedrich of Cologne, an ally of Adalbert, inflicting considerable damage to the monastery and the surrounding county. After that there is no further mention of any subsequent imperial involvement so there must have been a change of front, although no reasons are known. As suggested by Diefenbach and Henseling, a change of circumstances had already happened in 1070 under Giso II, but this seems improbable and it was more likely to have occurred when the loyal Gisonen had their fiefs, which had been provided by the archbishopric of Mainz, withdrawn during the conflict between Heinrich V and Adalbert. What is certain is that between 1115 and 1118 the imperial fiefs held by Giso and Werner as provided by the archbishopric of Mainz and enfeoffed to Upper and Lower Hessen were recovered by Adalbert. This arbitrary change of sovereignty was an affront to the imperial house, but at the time a military showdown was out of the question, which left Archbishop Adalbert a step closer to fulfilling his dream of setting up an enclosed episcopal 'Kirchenland' (land that belonged only to the Church). It is clear that by 1121 Giso IV had become an opponent of the emperor and an ally of the archbishop when, in that same year, he was awarded the privileges of the city of Mainz by the archbishop. In 1110 Hedwig, daughter of Giso and Kunigunde, married Count Ludwig of Thuringia. Werner IV of Grüningen died on 22 February 1121 (although according to Landau 322 it was on 25 January 1122), without issue and consequently without male heirs. In the same year Giso IV is referred to as 'Comes de Udenesberc', count of Gudensberg, so obviously he was Werner's successor. Whether Kunigunde, wife of Giso IV, succeeded in bringing the office of imperial standard-bearer and the county of Maden-Gudensberg to her husband through the Bilstein claims on the county is unclear, as the note on the property claims for Mainz states one donation from the last Werner. Finally, Count Giso IV of Gudensberg died on 12 March 1122.